One of the things I love most about summer is the opportunity I have to spend time with my extended family members. My husband and I both come from big families, lots of brothers and sisters, nieces and nephews a plenty. doing fun things and enjoying the warm summer weather. Why is this important to you, I’m sure you are wondering. Well, I have many brothers and sisters who are wonderful cooks. Stay tuned, I’ve got some great meals on the grill ready post that you are going to love. 1. Dice yourself about 1 cup of celery. please note: these two pictures are from a previous post. 2. Shred up about 2 cups of rotisserie chicken and place it in a bowl. Pour 1/2 cup of Franks Buffalo sauce over the top of the chicken and stir to combine. Pop it all into the microwave and heat it up. and give them a little sprinkle of freshly cracked sea salt. If you don’t have any freshly cracked sea salt, don’t worry about it. Regular salt will do, but I highly recommend you buy some of the salt you see in the picture at your earliest convenience. Thank you for your cooperation. 4. When the tortillas start to bubble up a bit (should only take 30 seconds or so) turn them over and sprinkle them with some cheese. This Mexican Four Cheese blend works super well, but regular cheddar would be fine too. then cover the cheese with chicken and sprinkle some celery on top. and add a little to each taco. If not, I hope you find yourself with a little more time on your hands to kiss a few cheeks and cuddle the heck out of your kids, or grandkids…or your nieces and nephews a plenty. Just wanted to let you know we’ve made this recipe at least four times now; it has become a family favorite! I love that it’s so easy and quick yet delicious. Thanks! mmm, sounds great-can’t wait to try! 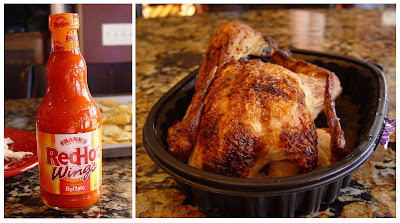 We love buffalo sauce so this was a total hit and sooo easy with a rotisserie chicken. Have made multiple times. Thanks! Personally, I would roast a whole chicken, either in the oven or on my grill. I get about 6 cups of shredded chicken just from the breast meat from each 6 lb. chicken.